After sending Israeli ambassador back to Israel, Turkey expels consul general. The Turkish government has ordered Israel’s consul general in Istanbul out of the country, hours after the Israeli ambassador to Turkey was expelled. Consul general Yosef Levi Sfari was told by Turkish authorities to leave the country Tuesday night, Israel’s Foreign Ministry confirmed Wednesday morning. According to Turkey’s Anadolu media outlet, Turkey’s Foreign Ministry ordered the Israeli consul general out of the country “for a period of time,” AFP reported. The expulsion came just hours after Ambassador Eitan Naeh was expelled, as tensions between Israel and Turkey heated up in the wake of the opening of the US embassy in Jerusalem, and clashes on the border between Israel and the Hamas-ruled Gaza Strip. In response, Israel temporarily expelled the Turkish consul in Jerusalem. 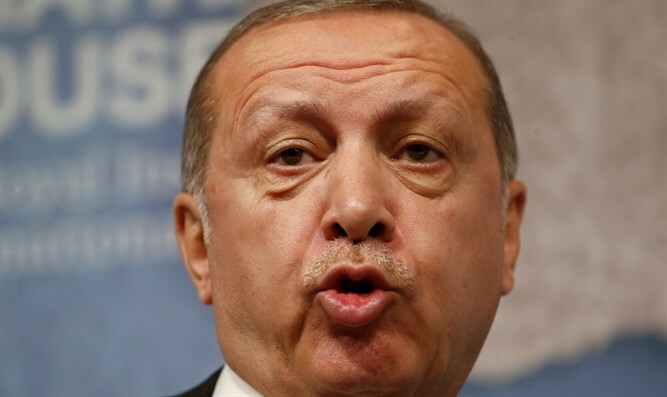 Turkish President Recep Tayyip Erdogan, whose country hosts a number of Hamas leaders living in exile, denied on Tuesday that Hamas is a terrorist organization, calling the terror group a “resistance movement”. Earlier on Tuesday, Erdogan accused Prime Minister Binyamin Netanyahu of having blood on his hands.